The spine is comprised of five distinct segments — coccyx, sacrum, lumbar, thoracic, and cervical — from bottom to top. The two most common locations for disc herniation are the lumbar spine (lower back) and the neck area (cervical spine). 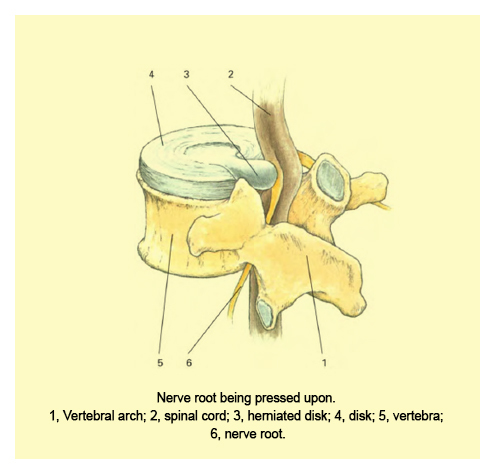 The cervical spine is comprised of seven vertebrae between the chest and the head. A cervical herniated disc can cause a variety of symptoms, including numbness and weakness in the neck, chest, shoulders, and hands. If the herniation is extremely large, it may affect other parts of the body such as the legs. It’s important to get an accurate diagnosis by a healthcare professional so that proper treatment can begin. The extent of the symptoms will determine whether surgery is necessary to avoid nerve damage, or if non-surgical therapy is recommended. Reducing the inflammation in the surrounding muscle tissue is one of the first steps in obtaining relief from a herniated disc. Our Back/Hip Freezie Wrap® is one of the best non-invasive treatments for reducing inflammation in cervical herniated disc injury. The Freezie Wrap® with ColdCure Technology® drives the cold deep into your spine without the risk of cryoburn.